Clarks Ritzy Love – girls summer pumps sleek, stylish and bang on trend. The soft white leathers combine beautifully, and are finished off with a white button and stitching. A lightweight, flexible shoe with great underfoot comfort, and a wrapped sole to help protect toes. Girls summer pumps sleek, stylish and bang on trend. The soft white leathers combine beautifully, and are finished off with a white button and stitching. 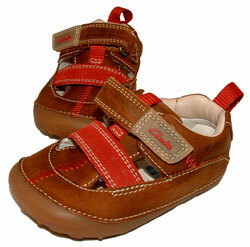 A lightweight, flexible shoe with great underfoot comfort, and a wrapped sole to help protect toes.